I have been debating whether to write on this topic or if it is to “sensitive” but I have decided after much deliberation that I would share because I wanted to share all of my experiences, with my friends and family that were interested, when I took this journey. I haven’t been away from home long but I am really starting to miss the ability to be blissfully ignorant. I don’t mean this in a cruel way by any means, so please do not take offense. I loved living in my southern home where I didn’t really have any worries, I didn’t live in a big city therefore I only saw “bad things” happen through the media. Let’s be honest here, if you are living in rural America there really isn’t a terror threat level that one needs to worry about. I knew moving here would be different. I know around the world there are many people that hate Americans and what my country stands for. I understand that I am in a relatively safe location but one can never be too careful. The other day I experienced fear like never before. The feeling lasted for only a moment but it was so intense it literally stopped me in my tracks and took my breath away. I have been thinking about this for a couple of weeks now. I have been going back and forth trying to determine if the first thought I had made me a bad person. Have I completely stereotyped and judged this woman that I know nothing about? 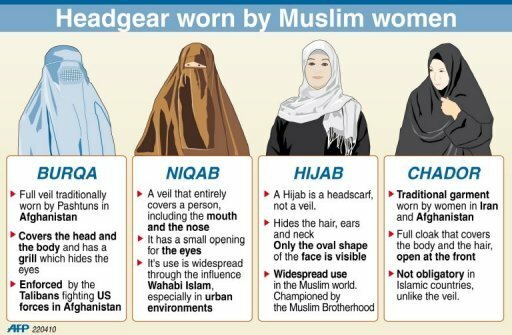 She is probably a very nice woman with a beautiful family but as an American, I have been conditioned to think that a woman covered from head to toe usually means they belong to an extremist form of Islam who more than likely hates Americans, for example the burqa normally worn by Pashtuns in Afghanistan. I believe that my first reaction was an acceptable reaction since it was my first time having encountered this situation. I was in a huge public place with many westerners as it would have been a perfect target. I am ashamed to say that but it is true, I have been taught this and clearly, it has made a lasting impression on me. Luckily for me living in Bangkok, I’m not in a war zone like the fighting that is going on in the south of Thailand. Although recent events could cause some alarm to anyone visiting or living in Bangkok. 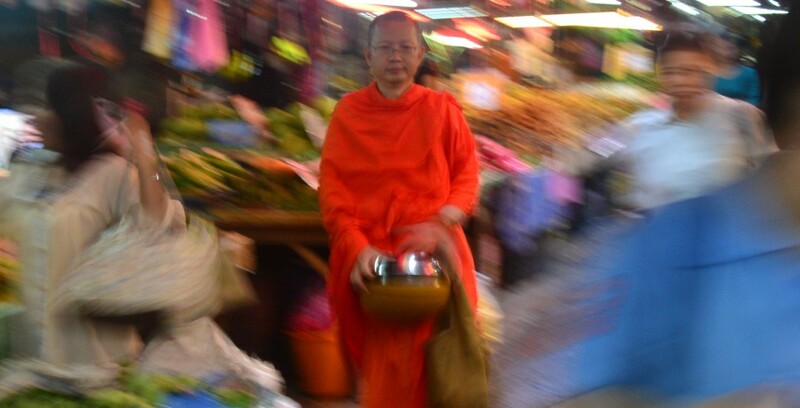 This entry was posted in Life In Bangkok and tagged Bangkok, Expat, Thailand. Bookmark the permalink. An interesting post and great that you have been so honest. Just recently my best friend became a Muslim, chose to wear the Burka and married an Arab man AND is blissfully happy. What was interesting for me is that, initially, my reaction was much the same as yours – fear. Fear for her future, her rights and fear that I’d lost my friend to an extremists religion. A couple years on, I’m glad to say it was just that, my fear and not the reality. It made me question the reasons behind my initial reaction. I believe the media is largely to blame in that ‘good things/experiences’ never make the news.